Listed below are product categories. 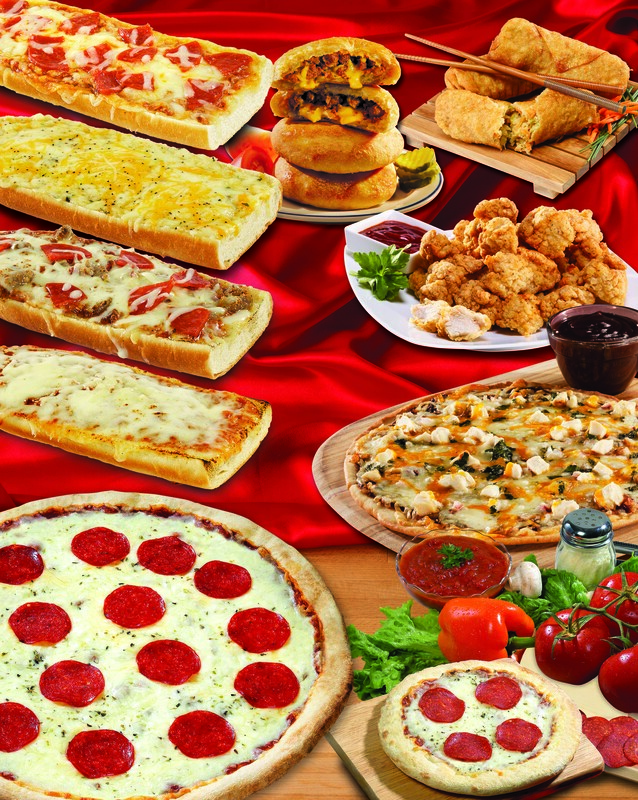 We have something truly delicious for everyone. Feel free to purchase from any or all of these wonderful categories. 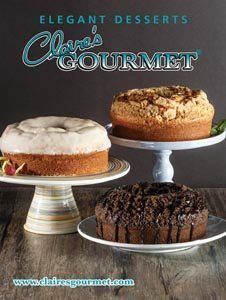 Few desserts express the concept of decadence like Claire's Gourmet cakes & pies. 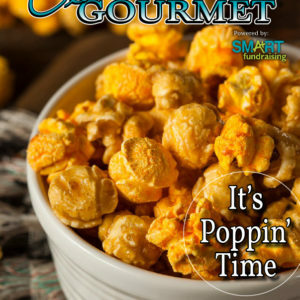 Our products not only look good, but more importantly they are incredibly delicious. 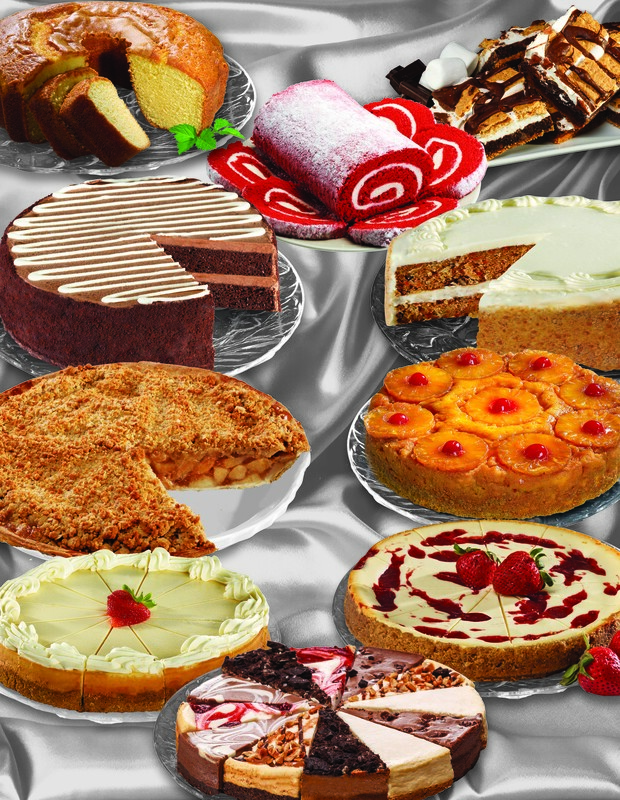 Enjoy our unique variety of Cheesecakes, Pies, Triple Chocolate Bundt Cake, Colossal Carrot Cake & our wonderful Coffee Cakes which have even been served in the White House. 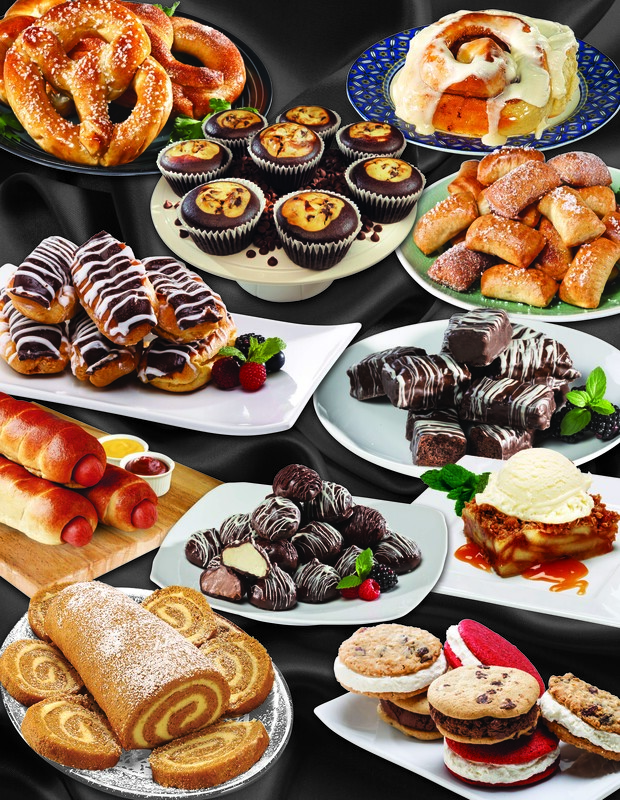 Claire's Gourmet Elegant Desserts will truly make any occasion a special one. And we do mean MORE!!!! 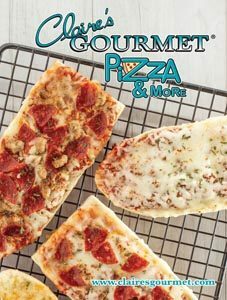 All of our products are "Ready to Bake" From 5" pizzas to 14" pizzas and even our delicious Mac & Cheese Bites will be ready in minutes - Just heat, eat & enjoy! For more variety try our Breakfast Burrito, Mozzarella Sticks, 4 flavors of French Bread, Cheeseburger Bundles & our Chicken Nuggets - all of premium quality. Just scoop & bake the most delicious cookies every time without the mess of mixing it yourself. 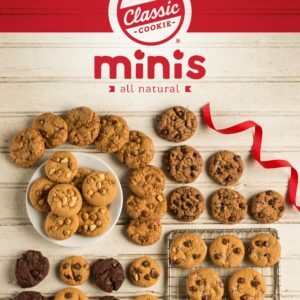 Whether you choose Chocolate Chunk, Snickerdoodle or 5 other flavors we guarantee you'll love each one. 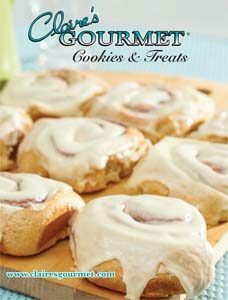 If you still need more treats try the popular "Big" Cream Cheese Cinnamon Rolls, our Pumpkin Roll or Claire's Eclairs. 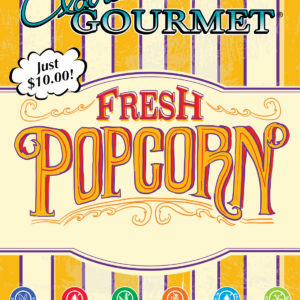 For the perfect snack enjoy the Twisted Soft Pretzels & the Gourmet Soft Pretzel Nuggets - A new twist on taste!